The Metropolitan Museum of Art is currently showing a wonderful exhibition of Japanese Masterworks from the Edo Period, comprised of works from notable collectors Robert and Betsy Feinberg. Their collection is one of the premier private collections from this interesting period in Japanese history and they are displaying exemplary works from various painting schools. 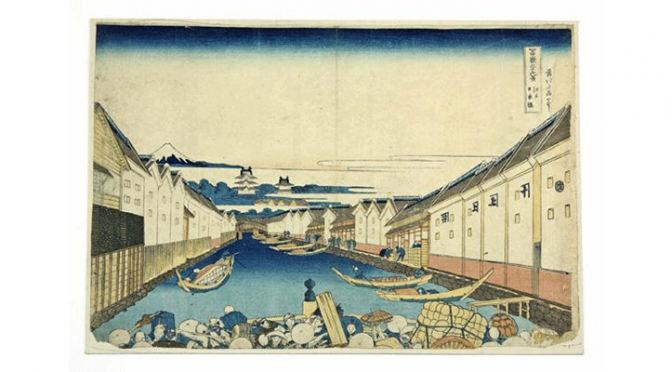 The Edo Period is commonly attributed to the years 1615 to 1868. This period, also known as the Tokugawa period, saw Japanese society experience economic growth and strict social order. The Tokugawa shogunate implemented isolationist foreign policies and significant environmental protections. This time in history also had the Japanese people enjoying arts and culture and the result was significant and important paintings and artworks contributed to society. Viewers of the exhibition can get a firsthand look at how Japanese painting evolved during this period from the traditional modes that prevailed through medieval times in China and Japan. There will be over 90 paintings as well as twelve sets of folding screens and several hanging scrolls, up for exhibition. The paintings will be exhibited in two rotations with each consisting of approximately 45 paintings. Nearly every major Edo painter is represented in this collection and will serve as an excellent introduction for Edo painting throughout this historical period. These paintings show beautiful collections of people and nature in various environments. Also, there is plenty of inspiration drawing from history and legend, and from significant literature. There is a hanging scroll in the exhibition named Tiger. This is an ink painting from early in the Edo period created by Tawaraya Sotatsu, who was the founder of the renowned Rinpa school. The Rinpa revival painters Sakai Hoitsu and Suzuki Kiitsu are prominent in this collection with more rare hanging scrolls. There are twelve scrolls designed as “Birds and Flowers of the Twelve Months”. They also have a beautiful two-panel folding screen depicting Cranes. Masters of the eighteenth century bring a special section of his collection. Artists such as Maruyama Okyo, Ike no Taiga, and Nagasawa Rosetsu bring their exceptional talents to this exhibition.